Here is the 3rd and final part of the 3-part series, “Why Are My Tires So Loud?”. So far, we have learned about various reasons why your car’s tires may be making more noise than usual; we have covered everything from tire type to CV joint issues. Now it’s finally time to learn about the best ways you can decrease or eliminate the possibility of developing loud tire noise. There is no ‘miracle tire’ that is perfect in all conditions and will meet everyone’s needs and desires. Choosing the most appropriate tire for your needs is a balancing act, so it’s important that you keep track of your priorities and needs. If low tire noise is high on your list of priorities you should consider choosing “touring tires”. Touring tires have specially designed tread patterns and materials that absorb sound and excel at pitch sequencing. Always read your owner’s manual and read reviews online before making a final decision. The average sized tire will rotate 5 million times in 10,000 kilometres. It probably isn’t enough to balance and rotate your tires only once during this period. Think of loud tires a warning that you may have missed necessary maintenance procedures. Quiet tires are happy tires, and proper maintenance will prolong the life of your rubber. Depending on the type of tire, the maintenance provided, your driving style, and driving terrain, tires last 6-10 years. Not sure how old your tires are? Check the DOT code, a 4-digit date code that will tell you when your tires were manufactured: the first two digits refer to the week, and the second two digits refer to the year of manufacture. Don’t be alarmed if your new tires are noisy right out of the gate. 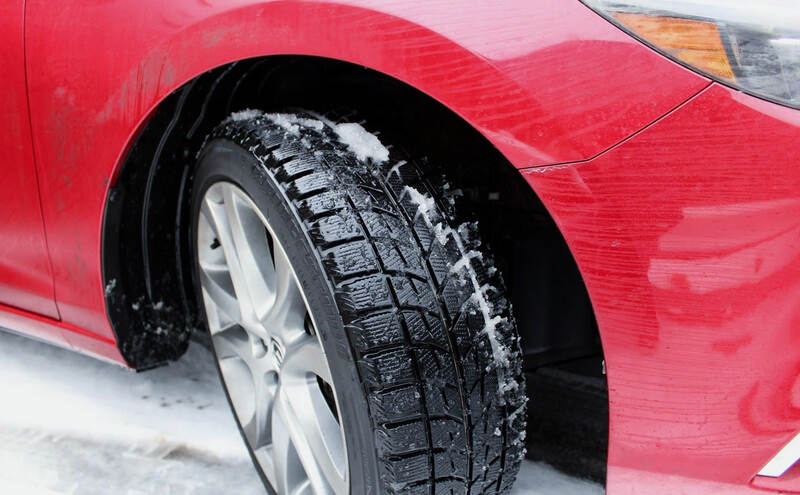 It’s normal for aggressively treaded tires, winter or snow tires, or low-profile tires to be noisy. If your noisy tires don’t fall into those categories, it’s probably just because the rubber needs to break in. New rubber needs to heat up and lubricants need to distribute, these processes can produce noise and don’t happen immediately. Don’t worry if your new tires are noisy for your first couple drives. If, after a month or so, your tires are still noisy, it’s probably an indication of a maintenance issue. If you think your tire noise warrants a checkup from the pros, just give us a shout. We are happy to find the source of the noise so you can stay safe and comfortable on the road.